I’m back in old western Washington for a late in the year visit to family and friends in the Seattle/Bellevue area, but the real scenic parts of the trip have been to the parts north and west of town. I know a few posters here (Moses, Foxspit) have ties to the area, and might recognize some of the photos. Although its late and we missed the crabbing season, one can still go out for mussels and clams almost year round. 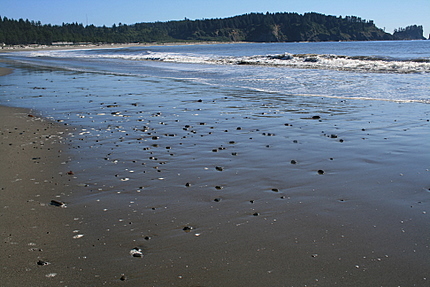 Here (above) are some clam beds out on the beach. After only half an hour, we dug up a few pounds of mussels and clams. The per person daily limit is 10 pounds, which are way too much for one person to eat, especially since it takes hours to scrub and wash these down. 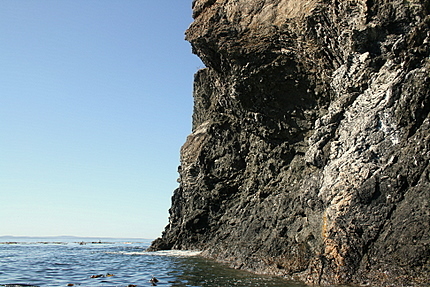 We managed to do some sea kayaking off of Bowman Bay in Deception Pass State Park, a marine and forest park that spans a few islands in the Puget Sound. This place gets super crowded during the summer, but in early autumn it is pretty bare. 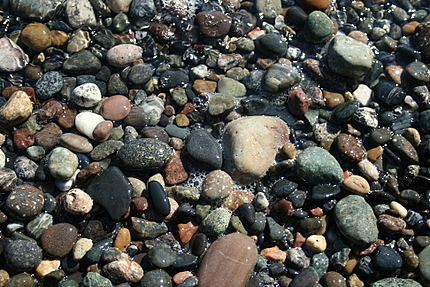 The water was crystal clear and the beach covered with polished, multi-colored stones characteristic of the area. 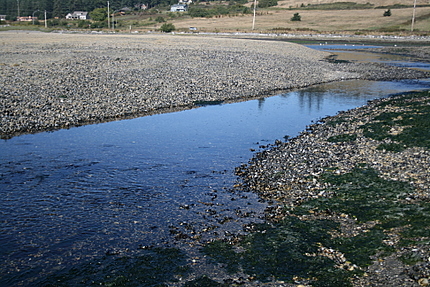 On the other side of the spit were brilliant tide pools with lots of small sea creatures in them. 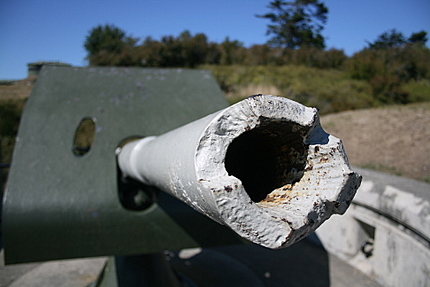 We also went to Fort Casey, which has an old series of bunkers and cannons still on display. The Fort itself doesn’t have a whole lot to see, but there are plenty of deer and other wildlife roaming the area. Otherwise, it operates as a soccer camp and series of old inns that the government rents out to tourists. 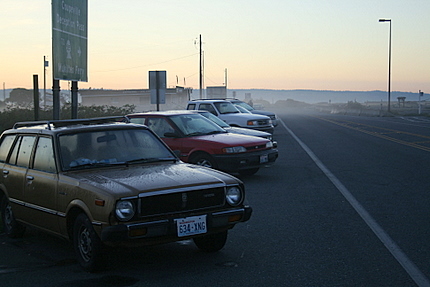 The next day it was off to the Olympic Peninsula at the crack of dawn by ferry. The nights are chilly out here and you can see the condensation off the row of parked cars outside the ferry station. If anyone has ever seen the rather forgettable Tommy Lee Jones movie called Double Jeopardy, you might recognize this ferry station off of Fort Casey. Olympic National Park is a must see place if you are in the area. This part of the country receives more rainfall than any other part of the continental United States. At its heart is the Hoh Rain Forest, which is a lush, green, super humid rain forest in the middle of the park. 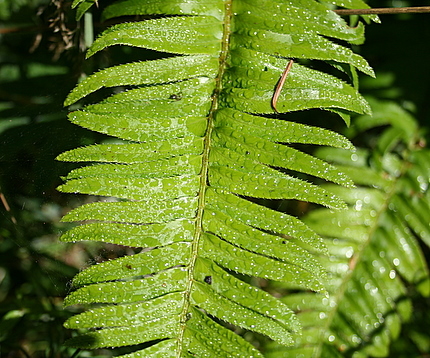 The moisture drips off the ferns, moss, and trees. The colors in the rain forest are unbelievable, with brilliant mosses and other kinds of fauna growing all over the trees and rocks. The amount of water this forest gets is incredible. Then it was off to La Push beach on the Pacific ocean – home to the Quileute Tribe of master fishermen and historic whalers. I am not a surfer, but the surfing here is supposed to be excellent, as is the whale watching. Finally made it back to town and passed through scenic Port Townshend, which is a historic old city on the inner tip of the Olympic Peninsula, not too far from the Dungeness Spit. Ahhh, it will be sad to leave the area, but we had a great time. Nice photos!! It Looks like a fabulous vacation trip.